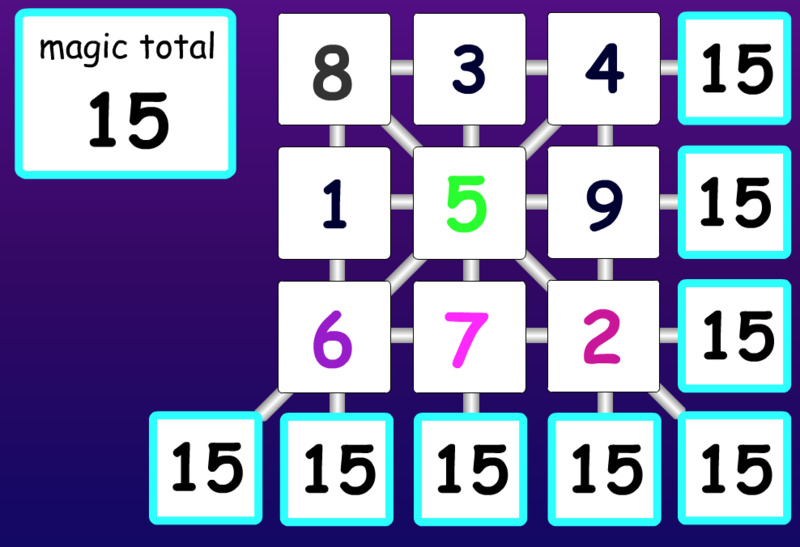 The magic squares are those in which it is necessary to place numbers in the different squares that form the picture, so that the sum of the diagonals is equal to the sum of the vertical and horizontal ones. The magic number will appear on the screen and define the magic box. Move the numbers in the holes in the frame until you get magic.